Apple co-founder and one of the most popular names in the Silicon Valley, Steve Wozniak’s name has been synonymous with innovations over the years. Wozniak has been quite optimistic on cryptocurrencies of late - and has been vocal about his experiment with cryptos as well as how he sees the future of cryptocurrencies. Wozniak’s latest comments are also quite optimistic - as he hopes that someday, Bitcoin may become ‘world’s single currency’. Wozniak’s latest statement came while talking to CNBC, where he expressed his hope that one day, Bitcoin will become a global standard - and the single currency across all countries. Wozniak expects this to happen within the next ten years. Interestingly, Steve Wozniak is not the first person to voice support for Bitcoin as a global currency. Twitter and Square Founder Jack Dorsey has also been suggesting something similar in the recent past. In a statement in March, the Twitter CEO had commented that he sees Bitcoin becoming the ‘world’s single currency’ in a decade. 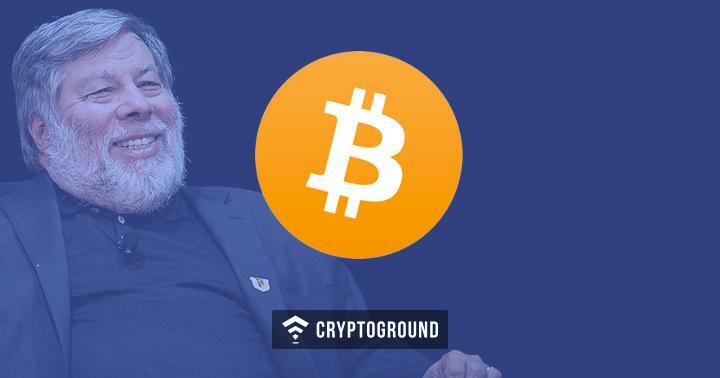 Earlier this year in February, Steve Wozniak commented that he had bought Bitcoins when they were priced in at $700 and sold them off at a major profit, around the time when the currencies peaked. The Woz told that he sold them off because he realized that he was spending way too much time tracking the movement of cryptocurrencies. Nevertheless, the timing was just perfect as the markets collapsed soon after. "I had bitcoin to experiment with and when it shot up high, I said, 'I don't want to become one of those people that watches it, watches it and cares about the number.'" Another interesting and recent statement from Steve Wozniak pointed that he believes that Ethereum has the potential to become ‘the next Apple’. This is because it is more than just a blockchain network or a cryptocurrency - Ethereum is a platform that allows apps to be developed for and deployed upon. The Woz has been quite optimistic about cryptocurrencies and this wave of optimistic comments continues as he sides with Jack Dorsey over Bitcoin becoming the global standard when it comes to being the world’s single currency!